For the past few weeks, my mom and I have been taking a metal casting class. 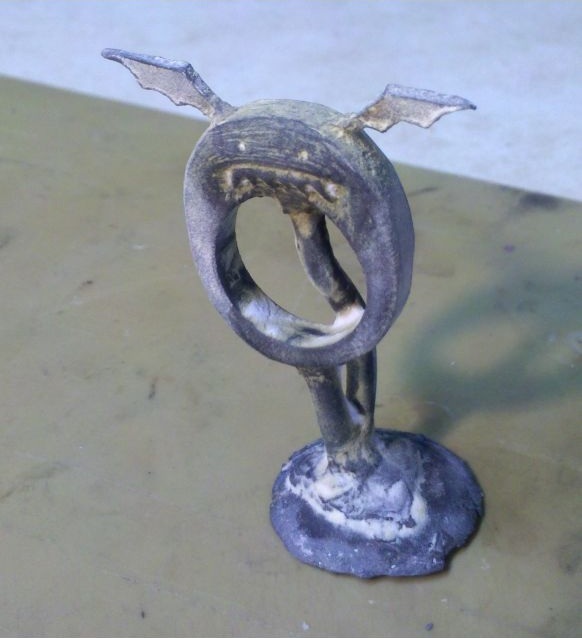 It uses the lost-wax casting method, and this is my first piece. 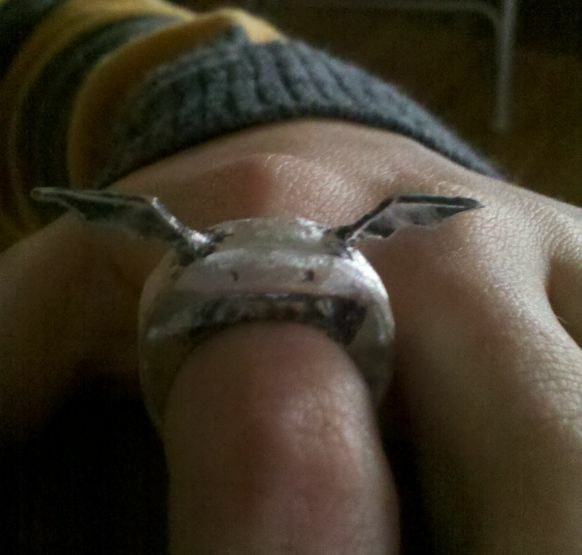 It is a sterling silver ring (for myself) that is a little battie-monster to perch on your finger. It is a bit wider than a normal ring (and rather pointy– watch out, he bites! ), but is not too heavy or too in the way to be a nuisance. 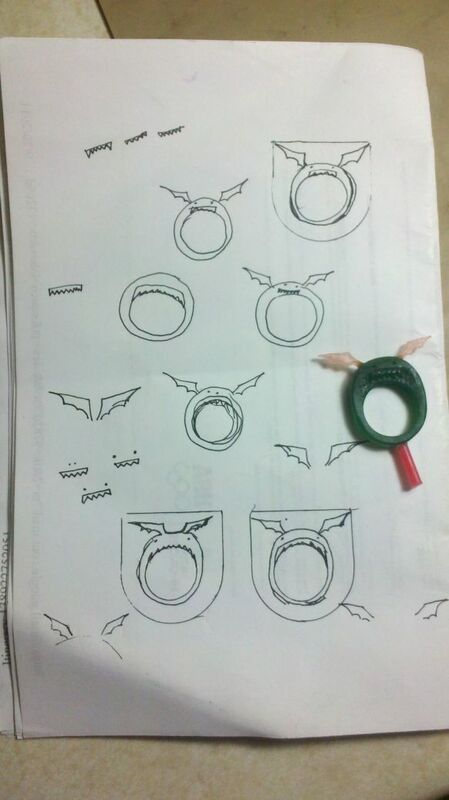 I started with a ring blank and sketched out several ideas. You can see here some of the different designs, alongside the final wax version with a sprue attached (although I ended up attaching a second sprue to make sure the silver reached all the way out to the wings). And finally, the ring in action! 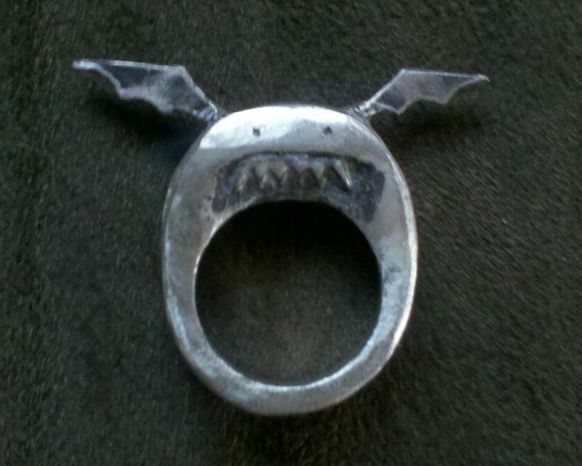 The body of the ring was polished with different files to achieve a brushed metal look, while the teeth and wings were left mostly untouched to retain the contrast of the oxidation.